Darrell W. Fast, born in Mountain Lake, Minn., passed away at the Leamington (Ont.) Mennonite Home, leaving Loretta Fast, his wife, his children Douglas (Michelle) Fast and Larissa Fast, two grandchildren, and many friends, relatives and former colleagues to mourn his passing. 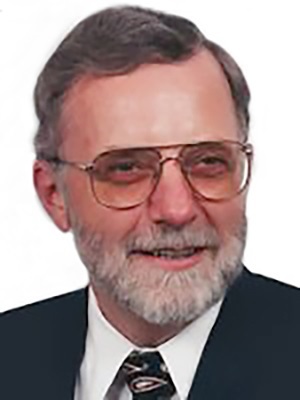 After graduating from Mennonite Biblical Seminary (now Anabaptist Mennonite Biblical Seminary), Elkhart, Ind., in 1966, he began a life of service to the church on both sides of the Canada-U.S. border for the next 40 years. Right out of seminary, he began a two-year stint as a short-term service director with the Board of Christian Service in the General Conference Mennonite Church, followed by another two years as the board’s peace and social concerns secretary. Ordained in the summer of 1970 in Nebraska, he pastored his first church, Toronto United Mennonite, from later that year until 1987. Whatever motivated or compelled him, Paetkau said Fast “became one of the innovators and architects who helped to reshape and transform the church amid the changes and challenges of the past half century. Just a few years after arriving in Canada, he was elected secretary of the Conference of United Mennonite Churches in Ontario. The Inter-Mennonite Conference, the predecessor to what is now the almost 30-year old Mennonite Church Eastern Canada, was just beginning. By virtue of office on the executive of the United Mennonite Conference, Fast joined the Inter-Mennonite Executive Council in 1974. A year later, he was elected vice-chair of the Inter-Mennonite Conference, Paetkau recalled. Since these were annually rotated roles among the three partner conferences, he also served as secretary for two years (1976 and 1977) and as chair for one year. In 1980, he returned to the executive council as representative of the Inter-Mennonite Pastoral Leadership Training Board, which he chaired. In 1987, Fast became the pastor of Bethel Mennonite College Church in North Newton, Kan., a position he held until 2000. During that time, the Mennonite Church and the General Conference Mennonite Church began exploring a new partnership, one that culminated in a merger on the one hand and a separation into two separate country entities. Fast served as moderator of the General Conference from 1992 to 1999. “His was the steady hand, the calming presence and the encouraging voice that helped navigate through this very complex and sometimes conflicted process,” said Paetkau. After returning to Ontario in 2000, to pastor Leamington United Mennonite, Fast also served as moderator of MC Eastern Canada for three years until retirement his retirement from ministry in Leamington in 2006. “He had come full circle from the experiment in inter-Mennonite cooperation he helped shape over 20 years earlier,” Paetkau said.